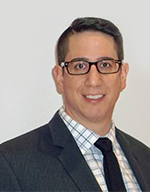 Dr. Rivera joined Lincoln Surgical Group, P.C. in August of 2015. He received his medical degree from Creighton University School of Medicine in Omaha in 2008. He completed his general surgery residency at Creighton University Medical Center and completed a burn fellowship at the University of Washington Harborview Medical Center. Dr. Rivera also completed a surgical critical care fellowship at the University of Illinois Masonic Medical Center in Chicago.